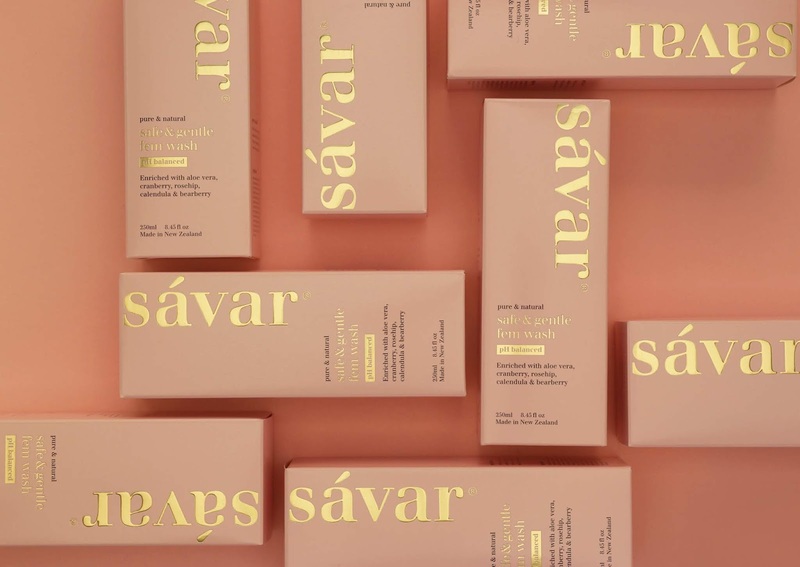 Strategically we had to ensure the new packaging would work and co-exist alongside the entire Savar product portfolio of predominantly black boxes. 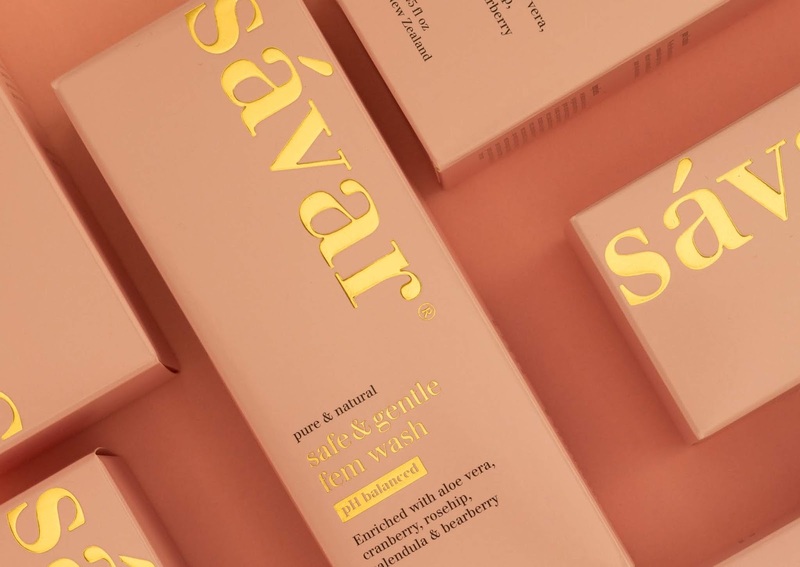 A new blush pink colour system was introduced for differentiation and create standout on store shelves, providing increased visibility and reflecting Savar’s premium proposition. 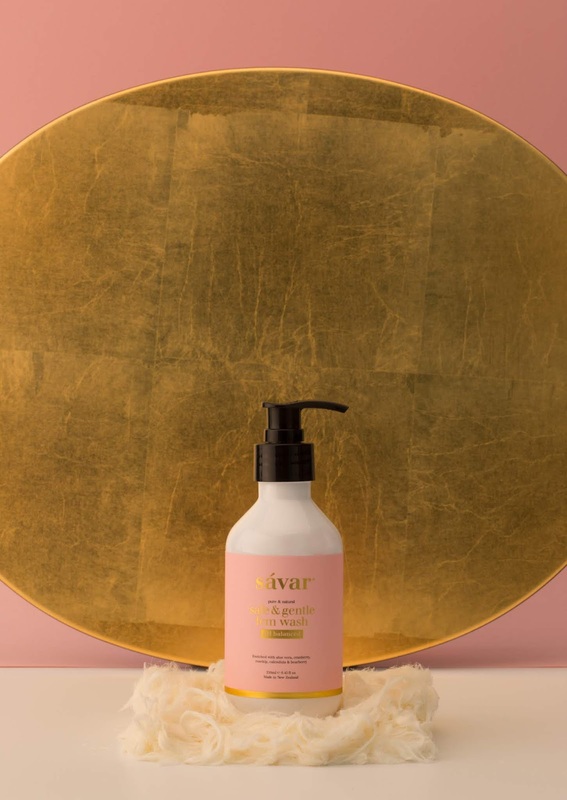 Gold embellishments and embossing lift the packaging - delivering a beautiful luxury look and feel. 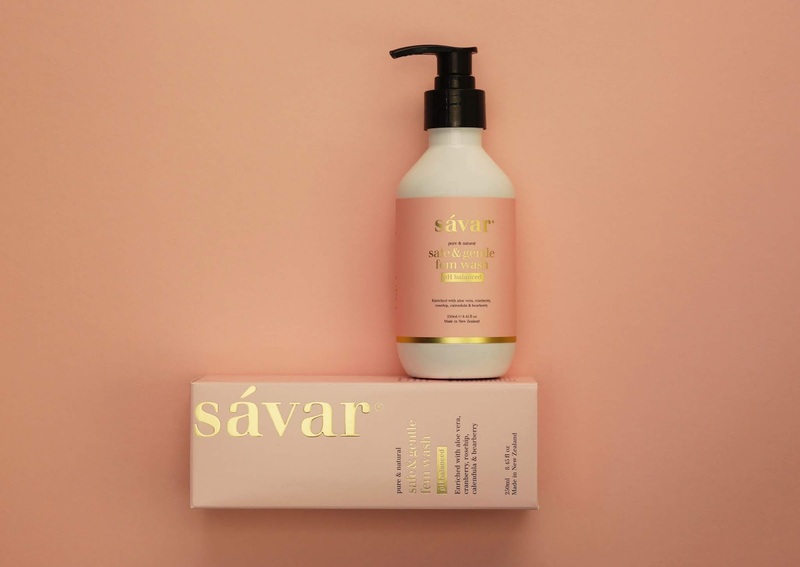 The packaging captures balance between the design and aesthetic, providing a feminine hygiene product in a very elegant and design driven manner. 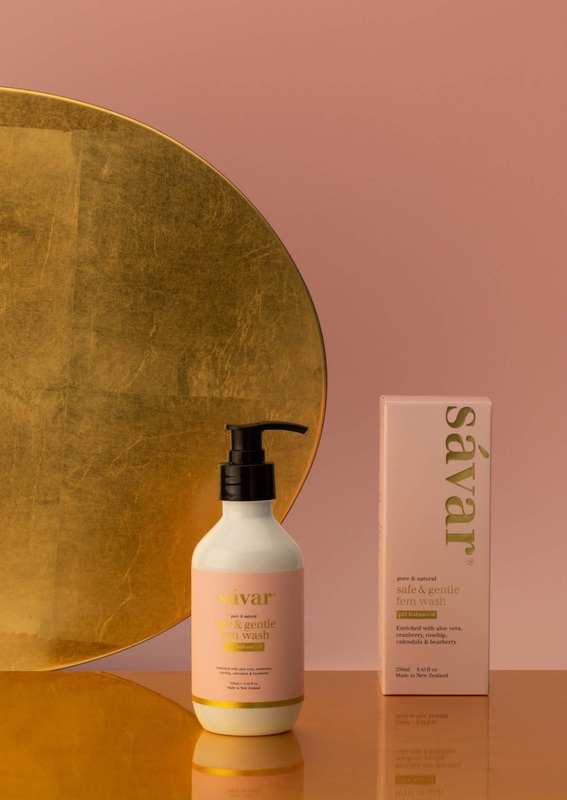 These products are designed to be left out on the counter and not hidden away in a drawer - important for a premium skincare brand.